Peacefully at Lakeridge Health Oshawa on Wednesday April 11th, 2018. Ruth in her 86th year. 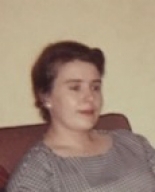 Beloved wife of the late Bill Thomson. Loving mother of Laurie Pritchard (David), Paul Thomson (Sandra) and Wendy McNeill (Earl). Dear grandmother of Megan Haughey (Mark), Kyle Pritchard, Ashley Pritchard and great-grandmother of Aubree and Nolan Haughey. Predeceased by brothers George and Donald Weeden. A private family service was held on Sunday April 15th, 2018 at McINTOSH-ANDERSON-KELLAM FUNERAL HOME LTD., 152 King St. E., Oshawa (905-433-5558). Donations in memory of Ruth to the Humane Society of Durham Region would be appreciated by the family. Online condolences can be shared at makfuneralhome.com.